Why Does My Property Management Company Ignore me? This is the most frequently asked questions I get from people who call me about their Property Management problems. I wrote an article on this subject titled "Why your Property Management Company ignores you?" The answer to this question is easy to explain, but hard for the client to except and even harder for them to do something about and many Property Management Companies count on that. Property Management Companies understand how difficult it is for people to change companies once they are locked in and they count on that. I have had people call me and I could hear the stress in their voice when we talk about them making the change. Often they fear they will not get their money back that the current company holds, or getting the information about the property or the current Tenants will be difficult. Here is why Property Management Companies ignore their clients, They are more interested in bringing in new clients then retaining their old ones and although it may seem crazy, it makes sense for a short term looking company. Lets look at how many Management Companies run their business. 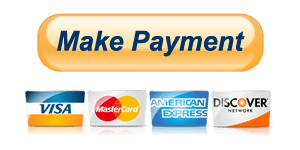 They try and sign up as many clients as possible, because the more clients they have, the more monthly fee's they bring in. The problem comes in, when the amount of properties they manage becomes too much and the companies must hire more employees to keep up. Many of the Companies really don't want to hire more employees, because it will cut into their profits, so if they lose some properties due to those property owners feeling like they are being ignored, so be it. These companies realize that if they bring in vacant properties, they will make more money from the commissions that they make from filling those properties, then the management fee they lose when a client leaves. If that Management Company can bring in a vacant Property that they will rent for $3000.00 per month. When they bring in a new Tenant, their commission will be more then they will make on your property the whole year. That is why they focus on new clients and ignore the clients they currently have. This is a short sighted way to think, but it is the way so many Property Management Companies do business. These companies also count on the difficulties that most clients have leaving their company, even though they ignore them. So as they bring in new clients and they put their current clients on the back burner, they will still retain a good number of those dissatisfied clients for a period of time. The best thing for property owners to do when they feel as though they are being ignored is find a new Property Management Company as soon as possible. I have written an article titled, "Leaving your Property Management Company"
This article gives a few Idea's that makes it much easier to leave by doing a few things up front, when you sign up with a new company.. The bottom line is, have no fear when leaving your old company, your new company will help you get any information or money that belongs to you, so don't suffer, because of fear. 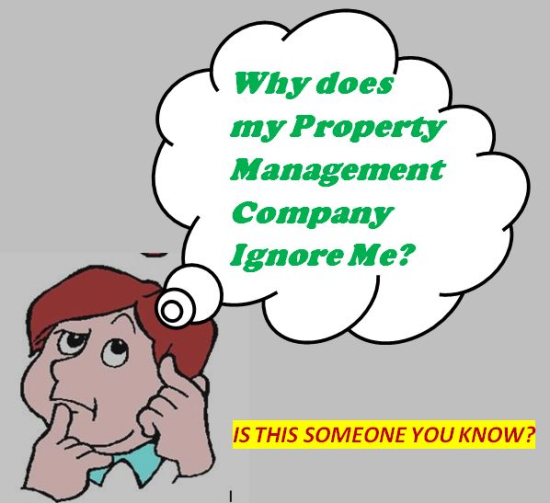 Being ignored is no way a property owner should be treated by their Property Management Company.